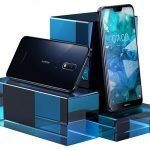 The Samsung Galaxy A7 is the company’s first-ever triple camera smartphone and it is getting compared against the big guns of the mid-range category, which are the Moto G6 Plus and the Nokia 7 Plus. 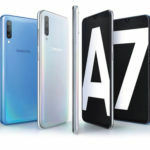 The Samsung Galaxy A7 was launched as the company’s first smartphone to feature a triple camera at the back, and it sports impressive hardware internals while being a member of the mid-range category. 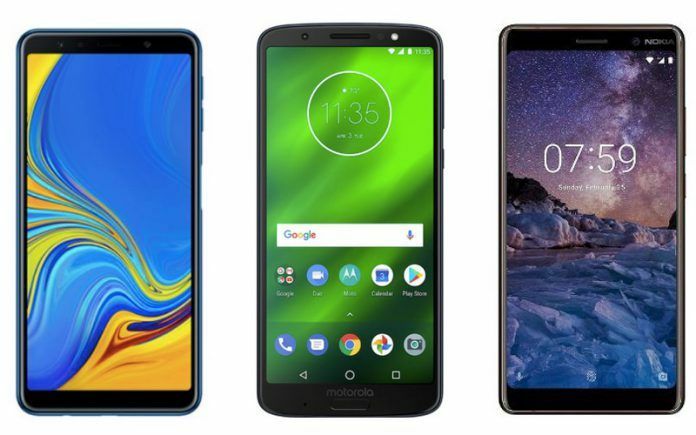 However, there are other mid-range devices that will prevent the Galaxy A7 from reaching its potential in the Indian mobile market and they are the Motorola Moto G6 Plus and the powerful Nokia 7 Plus (review). Let us compare all three smartphones and take a look at which one deserves your rupees and why. Maybe you might find a hidden surprise in this comprehensive comparison. 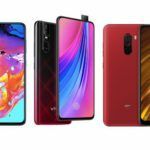 Despite their mid-range status, all three smartphones feature a premium build that adds to their durability and they all feature a taller display. The Galaxy A7 is the only device in this comparison that features a Super AMOLED screen, while the remaining two phones sport an IPS LCD panel. The resolution of the first smartphone measures at 2280 x 1080, while its display size is 6 inches. 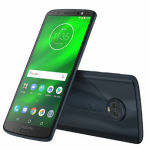 The Motorola Moto G6 Plus features a 5.9-inch panel with a 2160 x 1080 resolution, while the Nokia 7 Plus’ screen gives off the same number of pixels as the Moto G6 Plus, but it features a fractionally bigger 6-inch display. If you want vivid colors, along with a higher screen brightness when used outdoors, you should settle for the Galaxy A7. If that is not your preference, you can check out the rest of the comparison. The Galaxy A7 is running an Exynos 7885, with an ARM Mali-G71 MP2 GPU, along with 4GB of RAM and 64GB of onboard storage for the variant being sold in India. The Moto G6 Plus is running a Snapdragon 630, paired with Adreno 508 GPU and sporting 4GB RAM + 64GB internal memory. 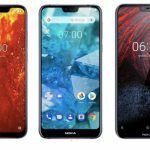 If performance is what you are seeking from your smartphone purchase, and your sights have been narrowed down to these three devices, then look no further than the Nokia 7 Plus. It is armed with a Snapdragon 660, which will make light work of the internals present in the remaining two handsets. It also features an Adreno 512 GPU, along with 4GB of RAM and 64GB of onboard storage. In case you forget, you can expand the existing storage in all smartphones via microSD card slot. Both the Galaxy A7 and Moto G6 Plus are running the Android 8.0 Oreo update, but the Nokia 7 Plus is running the recent Android 8.1 Oreo one. The Galaxy A7 is running a customized version of Google’s mobile OS, with the Moto G6 Plus sporting a cleaner UI. However, if you want the experience of stock Android without paying the price of the Pixel 3, then Nokia 7 Plus is going to be your new best friend. The smartphone is a member of the Android One smartphone lineup and it is in line to receive regular software and security updates for a couple of years. It will also be getting updated to Android 9 Pie, giving it more features as a result. The Galaxy A7 is rocking a triple-camera at the back with a 24MP+8MP+5MP configuration, along with a single 24MP unit at the back. The 8MP sensor can take wide-angle shots, while the 5MP sensor is going to be used for depth-sensing, or snapping images with a Bokeh effect. As for the Moto G6 Plus, it has a 12MP+5MP dual-camera at the back and a single 8MP selfie-shooter at the front. The Nokia 7 Plus comes with a 12MP+13MP dual snapper at the rear side, with the 13MP sensor capable of taking images with a 2x optical zoom. The front side of the handset sports a single 16MP camera. Out of all these devices, the winner will be the Galaxy A7, but it cannot do telephoto shots like the Nokia 7 Plus, which is a shame. The Galaxy A7 features a 3300mAh battery and gets charged via microUSB 2.0 port. 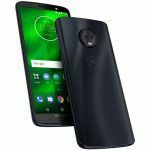 As for the Moto G6 Plus, it has only a slightly smaller 3200mAh cell which can get topped up using a Type-C USB port. However, if you want the best possible battery endurance from this comparison, the 3800mAh capacity present in the Nokia 7 Plus will be your weapon of choice, while its charging takes place using a Type-C USB port. Unfortunately, no device in this comparison provides support for Qi wireless charging, but that really isn’t going to change your mind much. If you want a superior camera smartphone in this comparison, the Galaxy A7 will be your next pick and it is available from Flipkart at a price of Rs. 23,990. However, if you want a device that delivers more performance, has a tremendous build, takes telephoto shots and provides the best battery life out of all three devices, look no further than the Nokia 7 Plus. If you want a Samsung-branded device that’s really pushing the boundaries of imaging, wait for the Galaxy A9 (2018) to arrive.